A native of Philadelphia, Gary received his B.F.A. in Marketing/Communications and Commercial Photography from Brooks Institute of Technology in Santa Barbara, CA. 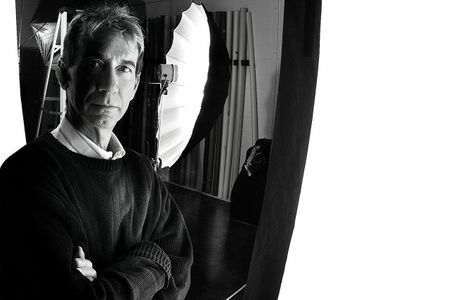 His career as an Advertising & Marketing consultant and Professional Photographer has included a variety of assignments, including ad campaigns, product catalogs, annual reports, collateral materials and direct mail campaigns for both consumer and corporate and retail clients. His client rooster includes such companies as Ralph Lauren, Club Monaco, Food Sciences Corporation, Arris, DelVal Media, Signature Communications, AR Microwave, DSC, Mega Phase, Subaru, Mint Magazine, Motorola, RCA, Audiovox , Jennifer Furniture and Virtua Health, just to name a few. With experience working for AAAA member Advertising Agencies his understanding of marketing communications and creating images for advertising has Gary as one of the most sought after shooters in the area. Gary has the ability and experience to set you free to enjoy extraordinary results! Invited to teach workshops in advertising photography at the Palm Beach Photographic Center in Del Ray Beach Florida, Gary is also active in his local community, working with Flashes of Hope a national nonprofit organization whose goal is to photograph every child with cancer until every child is cured on an ongoing pro bono basis. He also had participated in Career Day at local High Schools.